On this blustery November day, let’s take a “mini vacation” to the Amalfi Coast! 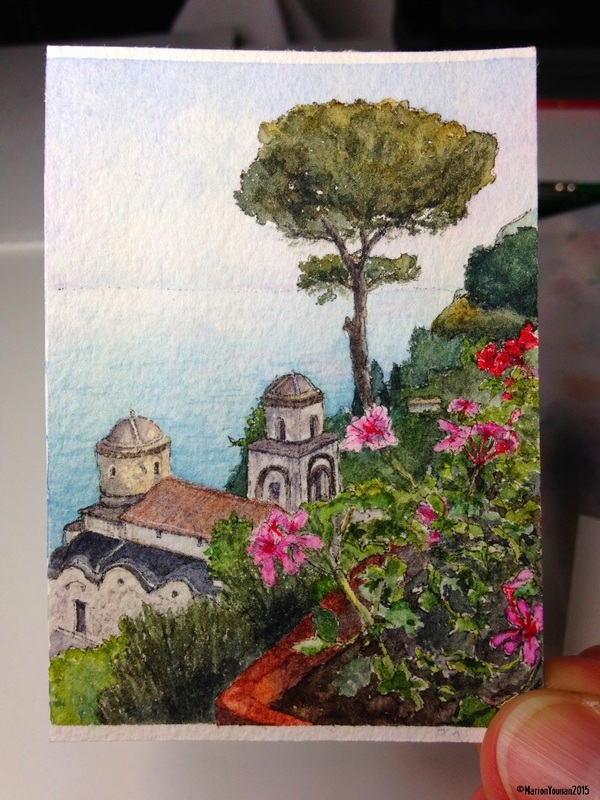 Taking a break from the Burano series, I set my sights on Arienzo Beach (just outside of Positano) and Ravello for my next mini artist trading cards. As much as I love those colourful streets of Burano, painting some water and trees were a welcome change. 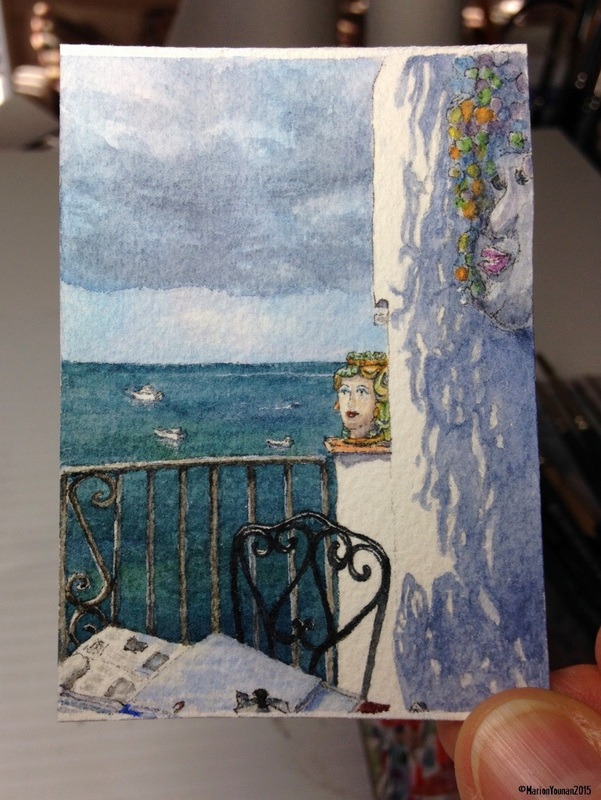 From some photos of vacations past – morning coffee with stormy skies on the little balcony at our house rental on Arienzo Beach, and one of the beautiful and iconic vistas from Villa Rufolo in Ravello. Next mini vacation – Tuscany and Liguria! Ciao, tutti! Grazie! Believe me, if it wasn’t for my trusty magnifying light, these cards wouldn’t be possible! Aahh, sipping an espresso on that balcony, feeling the gentle sea breezes on a sunny day and enjoying Art. Yes. Definitely. And those Greek-like domes and geraniums, so wild and lovely. My kinda places! Sensatione. Bellissimo. My kinda place, too! Can’t get enough of it! Your work is beautiful! As someone new to watercolor and painting, it was wonderful to see what you can capture. Thanks, Deborah! I really love watercolour, and it’s so versatile. I follow lots of watercolour artists and each uses it so uniquely! Enjoy your watercolour explorations!